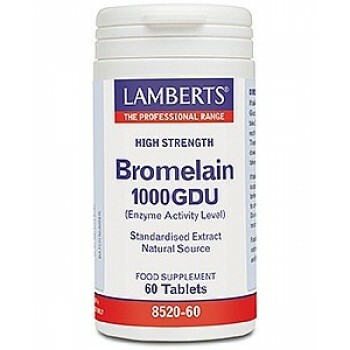 This is one of the highest strength bromelain products available, providing 1000 GDU’s (gelatin-dissolving units) per tablet. 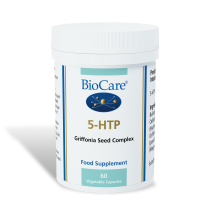 This is a measure of how active this naturally sourced enzyme really is and is therefore more relevant than the weight of bromelain. Watch out for some USA imports which overstate the GDU level per tablet on the front of the label (one described as 3000 GDU is actually 1000GDU). Lamberts Bromelain can also work well when taken in conjunction with turmeric so many practitioners recommend taking the two products alongside each other. 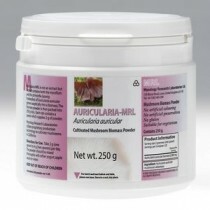 Bromelain appears to aid the absorption of curcumin, the active compound in turmeric.